In addition to being a Director/Shareholder to a diversified business group which has 250 employees, Dan founded the Fratu Foundation, which aims to provide tools for individuals to improve society without investing any additional funds and without changes to their behavior. Some of the foundations projects include zablango.ru, an online platform that allows charities to raise money, and “Light Changing the World,” a factory that produces candles and soap by people with disabilities. In his Director role within the media companies, Dan helps manage strategy, budgeting, mergers and acquisitions, and marketing. 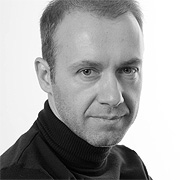 Dan served as Director of Gallery Media, which became the number two-player in outdoor media in Russia. He has also been a Director for Double Contact Group in Russia and Kazakhstan, the General Director of Tranzsalamz Media, as well as worked on various projects in media and telecom in Israel. Despite his business success in the media and advertising industries, Dan believes an EMBA from the Berlin School of Creative Leadership could help him bring his vision further.